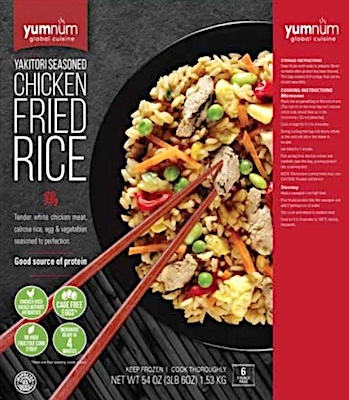 US/Washington: Harvest Food Group, Inc., a Chicago, Illinois establishment, recalls an estimated 47,332 pounds of not ready-to-eat (“NRTE”) YumNum Global Cuisine branded Yakitori Seasoned Chicken Fried Rice products due to undeclared Milk, a known allergen, source of dietary intolerance and possible trigger of Anaphylaxis, a serious and potential fatal situation, requiring immediate medical intervention. US/Washington: Nueske’s Meat Products, Inc., a Wittenberg, Wisconsin. 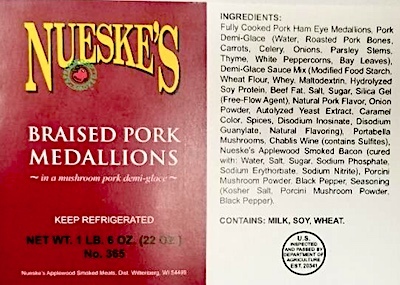 establishment, recalls an estimated 12,946 pounds of Nueske’s branded Braised Pork products due to suspected product reformulation and consequential risk of undeclared Brown Rice Flour and Glycerin, both known allergens, sources of dietary intolerance and possible trigger of Anaphylaxis, a serious and potential fatal situation, requiring immediate medical intervention.